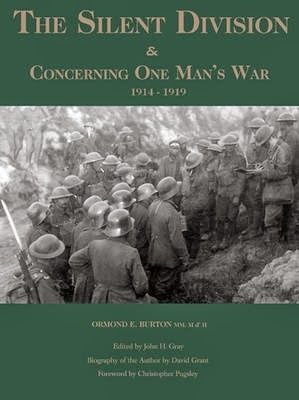 The ‘Silent Division & Concerning One Man’s War’ by Ormond E Burton was launched in Wellington on 19 May 2014 by the Minister of Culture and Heritage, Christopher Finlayson at Malvina Major Retirement Village. Ormond’s son Robert Burton and daughter Mary Robertson (nee Burton) were present at the event including extended family members and many friends. To add a balance to this there were members of 5/7 Battalion Royal New Zealand Infantry Regiment. Some guests travelled from distant locations around New Zealand to attend this special occasion. A short introduction was given by Bob Anderson from John Douglas Publishing, followed by David Grant who gave an in-depth summary of Ormond’s life. It was also a delight to hear from Robert Burton who spoke on behalf of the family. Thereafter the Minister talked about the centenary commemorations and the importance of recording events of the First World War of which this book has been superbly done. In the book Burton’s dedication says: “Somewhere between the landing at ANZAC, and Battle of the Somme, New Zealand very definitely became a Nation”. The evening’s event was kindly sponsored by Malvina Major Retirement Village who lavishly provided a superb spread of finger food and drinks. 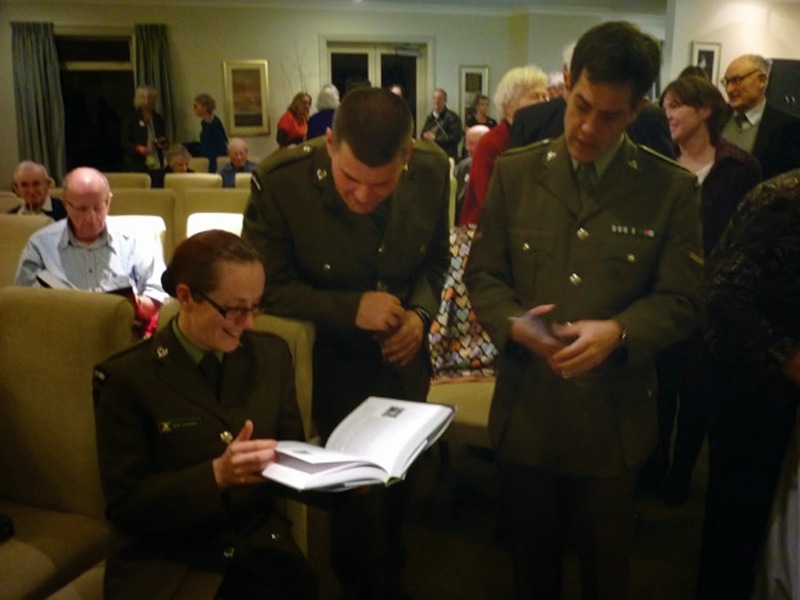 From left to right: Private Sarai Cosgrove, Private Andrew Dames and Lance Corporal Aaron Wanoa (Wellington Company, 5/7 Battalion, RNZIR) attending the John Douglas Publishing book launch of ‘The Silent Division & Concerning One Man’s War’ by O E Burton.